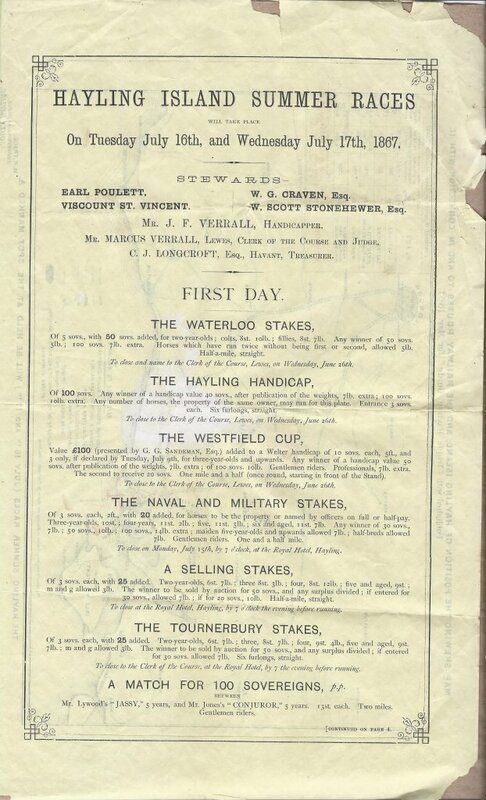 This document was produced to advertise the Summer Races to be held on the new racecourse in front of the Royal Hotel, Hayling Island and also the new Hayling Branch line that was to be opened for passengers early July 1867. 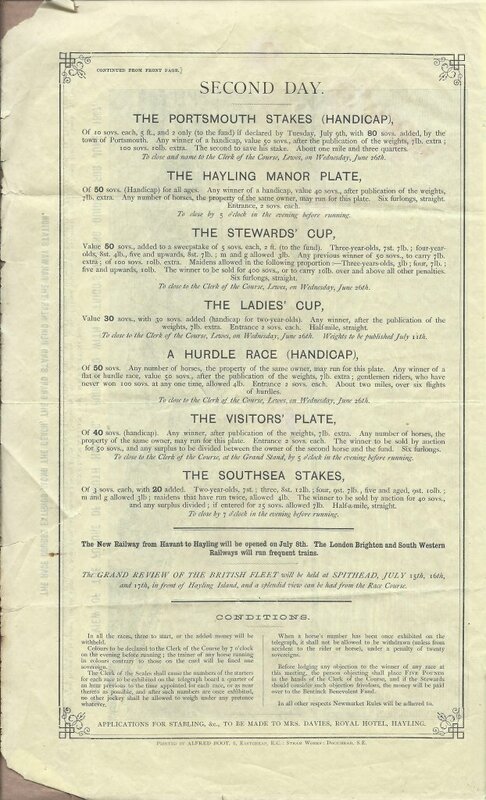 The racecourse having been built by Frances Fuller who was also the Chairman of the Hayling Railway Company at the time. The direct connection to the LSWR north of Havant and the eastwards connection to the LBSCR. Both these routes were abandoned in the 1864 Bill (Act of Parliament, Aug 1865). 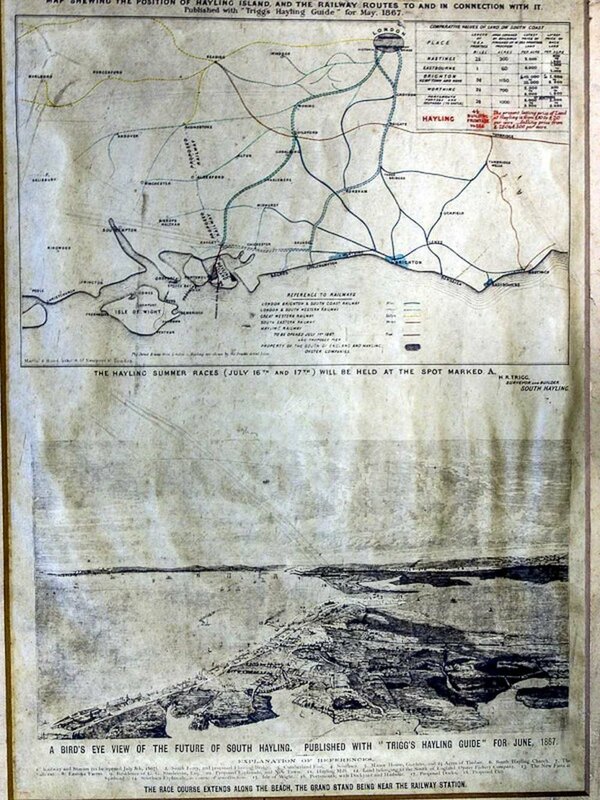 The railway extended from South Hayling station to a pier on the Solent Coast. Never constructed nor has their been any proposals found about this. Junction from the station throat, westwards, to the ferry. This was included in the 1865 act of Parliament but was never built. 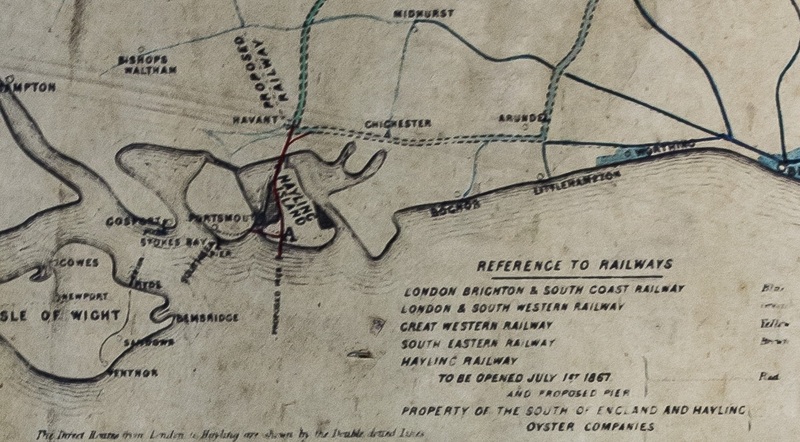 Two sites are shown for the South of England Oyster Company. © 2015 - 2019 The Hayling Billy Heritage Project Partnership. All rights reserved.